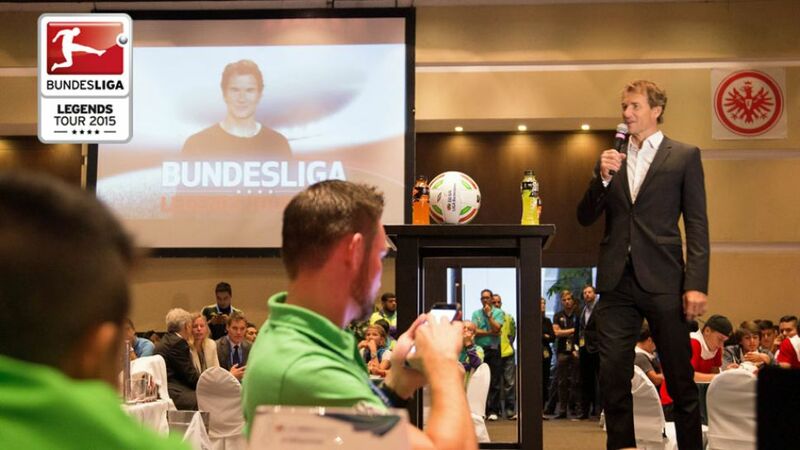 Frankfurt - As part of the DFL Deutsche Fußball Liga's Bundesliga Legends Tour 2015, former Germany international goalkeeper Jens Lehmann met players from the Eintracht Frankfurt Under-16s and Borussia Mönchengladbach U-15s whilst in Mexico City last week. Backed by the DFL, the aspiring young stars - in town to take part in an international U-15s tournament alongside teams from Brazil, the USA and hosts Mexico - certainly got their money's worth. Lehmann also spent time in New York and Rio de Janeiro, promoting Germany's top flight in a number of sit-down interviews with some of the Bundesliga's international TV partners, among other engagements. At the same time, 1990 World Cup winner Lothar Matthäus was on Legends Tour duty on behalf of the DFL in Kuala Lumpur and Singapore. Matthäus and Lehmann follow in the footsteps of retired Germany defender Christoph Metzelder, who was involved in the first-ever Legends Tour in China last year.